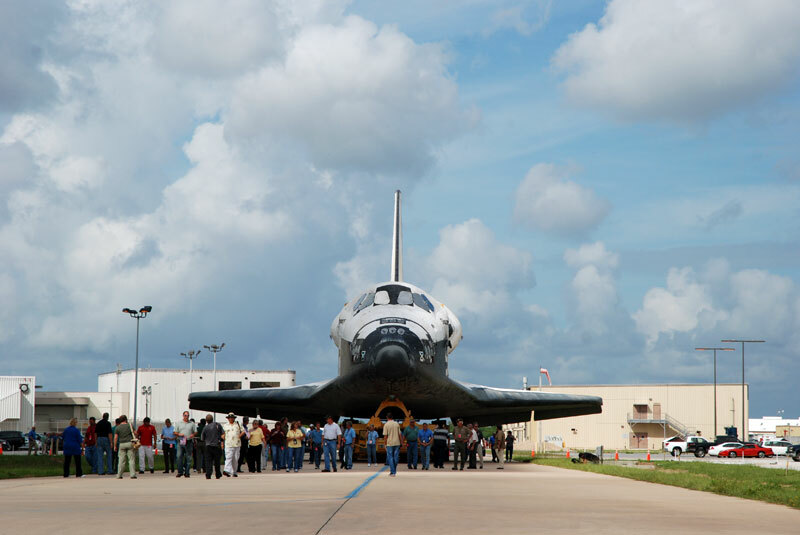 collectSPACE - news - "Space shuttle Discovery departs hangar for final flight"
September 9, 2010 — Space shuttle Discovery rolled out from its hangar for the last time on Thursday at NASA's Kennedy Space Center in Florida, beginning the first leg of its final mission into space. 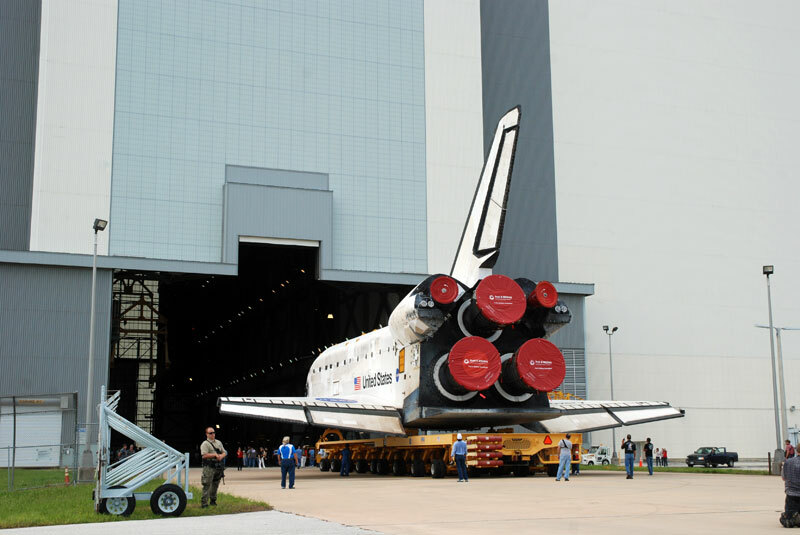 The winged orbiter -- NASA's oldest among its remaining fleet of three -- emerged from Orbiter Processing Facility-3 (OPF-3) at 6:54 a.m. EDT, starting its rollover to the nearby 52-story Vehicle Assembly Building (VAB). 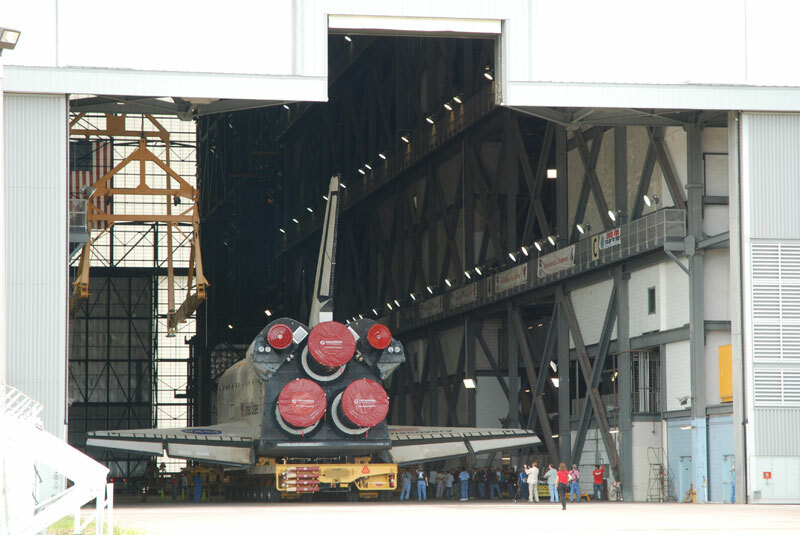 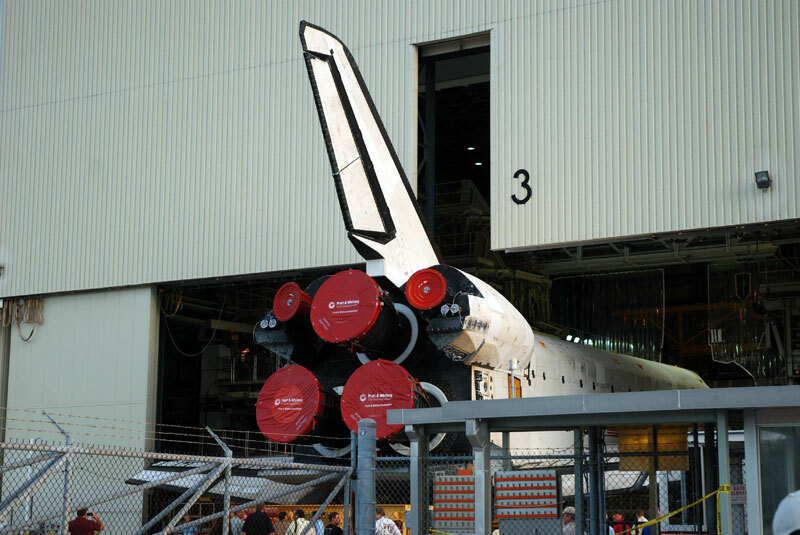 After pausing outside for a couple of hours for photos with shuttle workers, Discovery came to a rest in the VAB's transfer aisle at 10:46 a.m., to await being lifted and mated to its twin solid rocket boosters and external fuel tank that will launch it to the International Space Station (ISS) on Nov. 1. 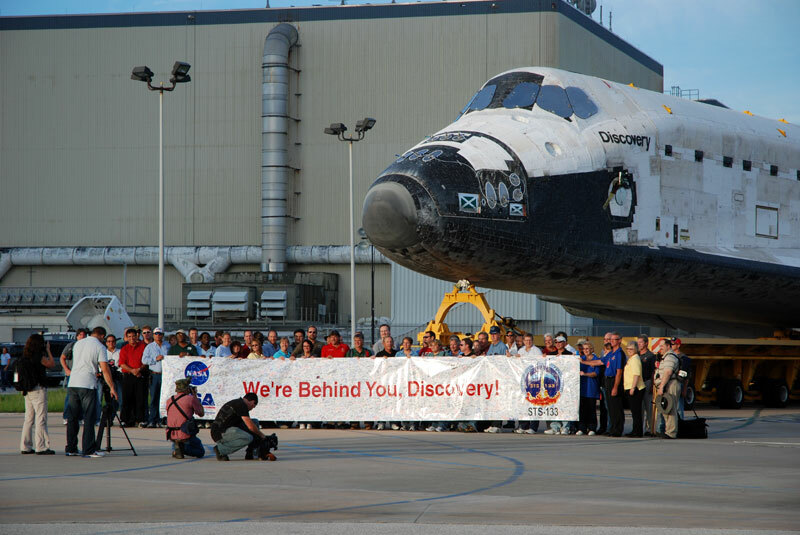 The 11-day STS-133 mission marks Discovery's 39th and last flight to space. 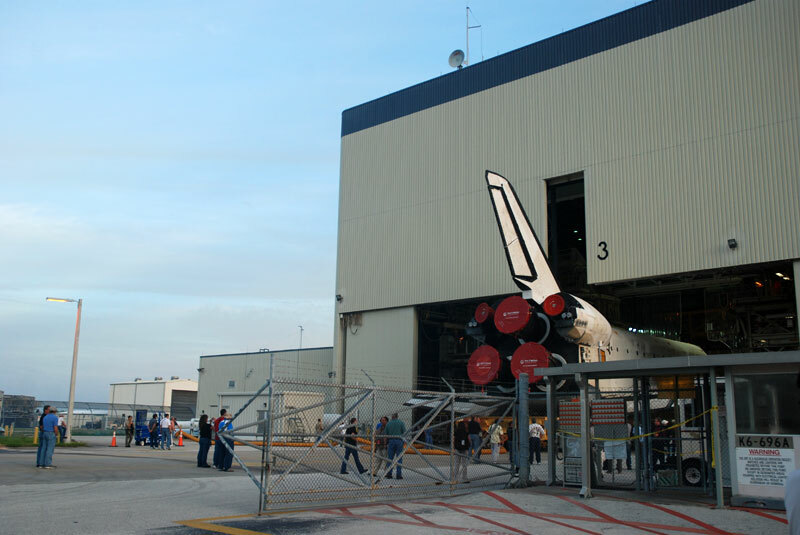 It is NASA's second-to-last space shuttle mission -- Endeavour's STS-134 mission in late February 2011 being the last -- although another mission by orbiter Atlantis is under consideration. 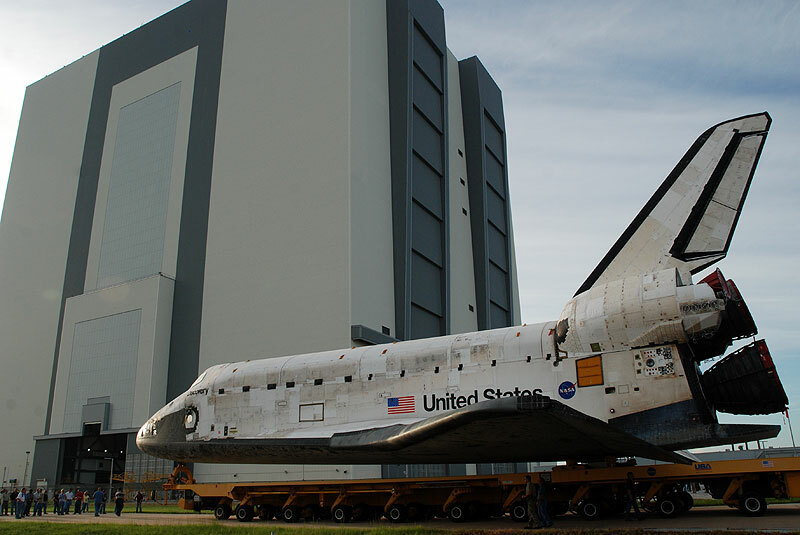 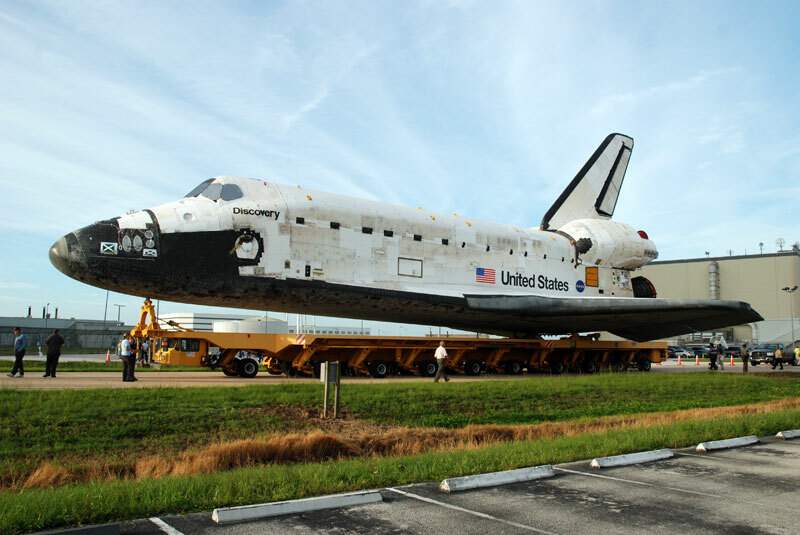 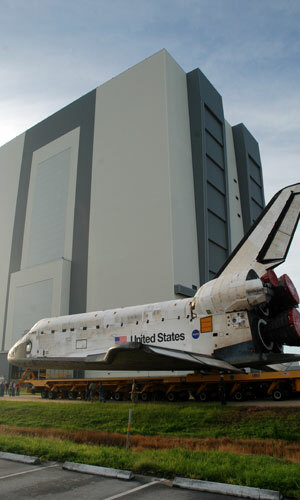 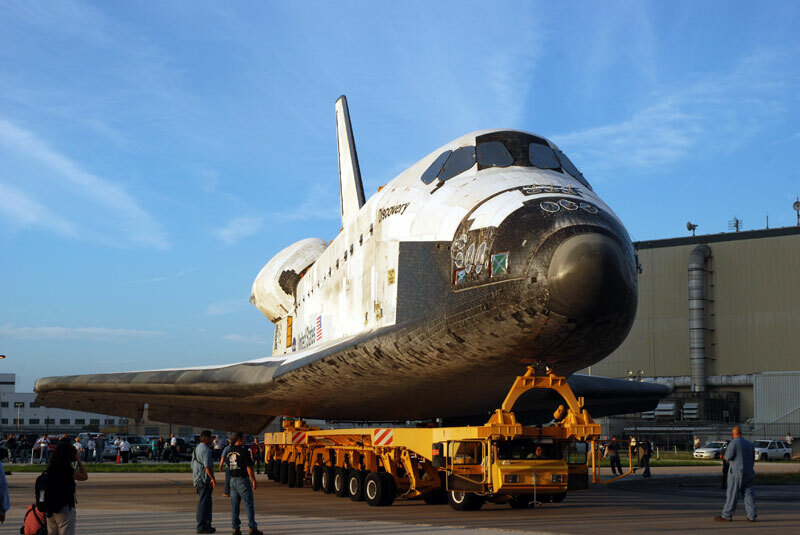 Thursday's quarter-mile trip between the OPF and VAB was the 41st rollover in 26 years for Discovery, also known by its orbiter designation OV-103. 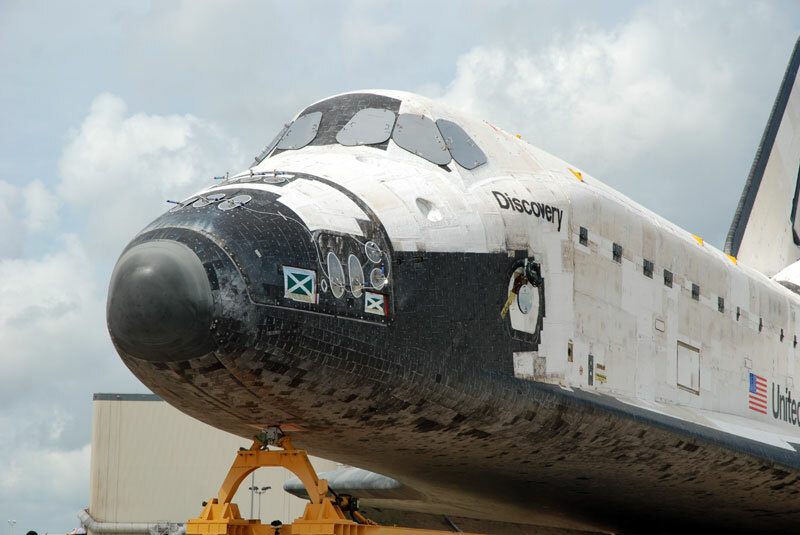 Discovery has more rollovers than launches because it had to repeat the trip on two occasions: once for its maiden flight, STS-41D, in 1984 and again in 1991 prior to the STS-39 mission. 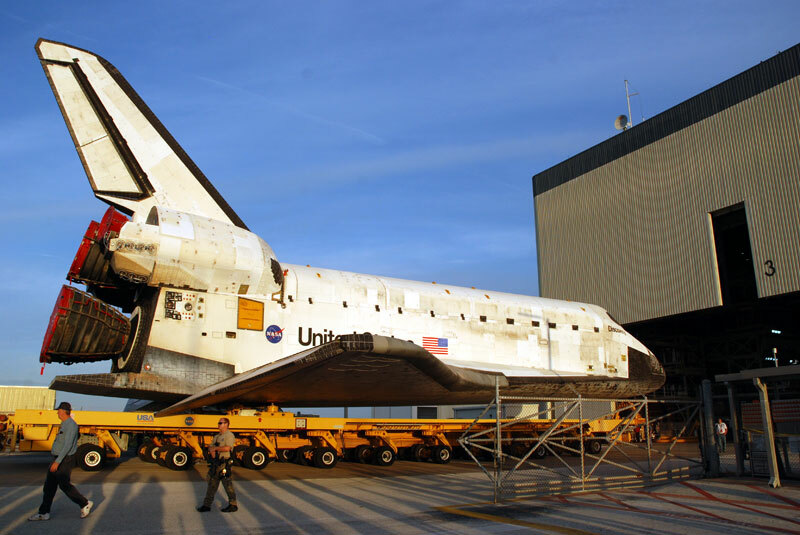 In both cases, the re-rollover was due to Discovery needing repair before it could fly. 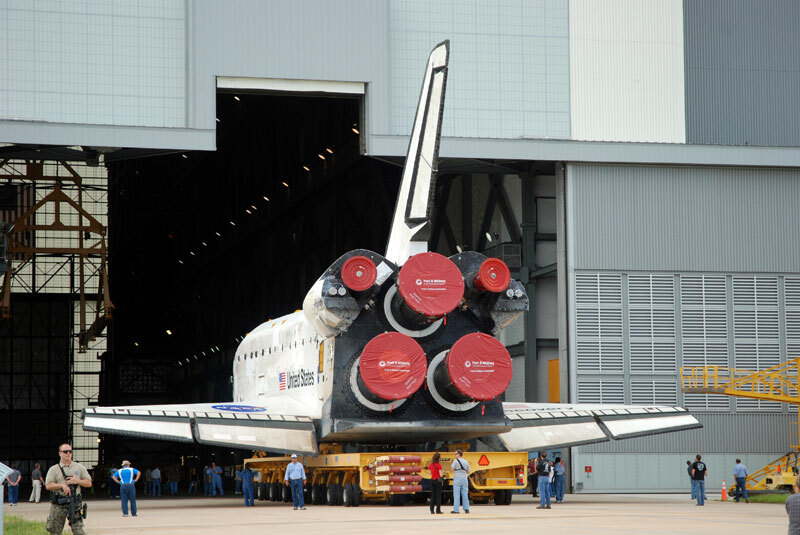 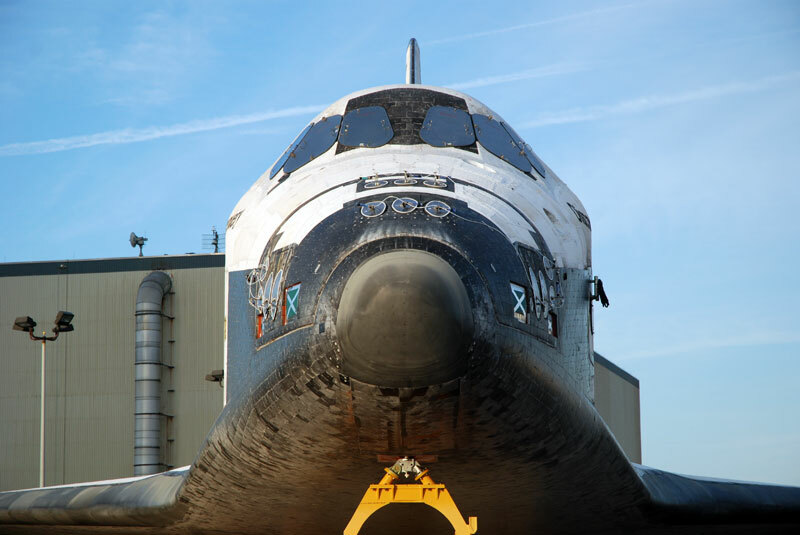 Once mated to its boosters and tank -- a procedure expected to be completed by early Friday morning -- Discovery will leave on a different type of roll. 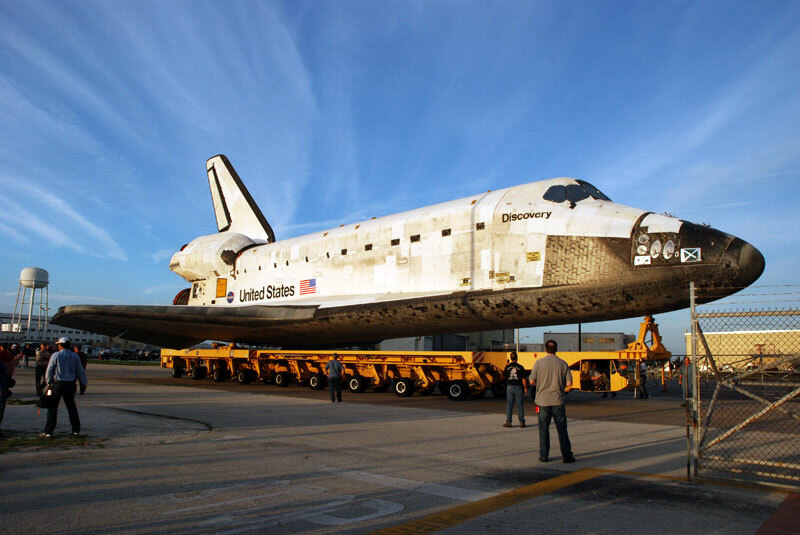 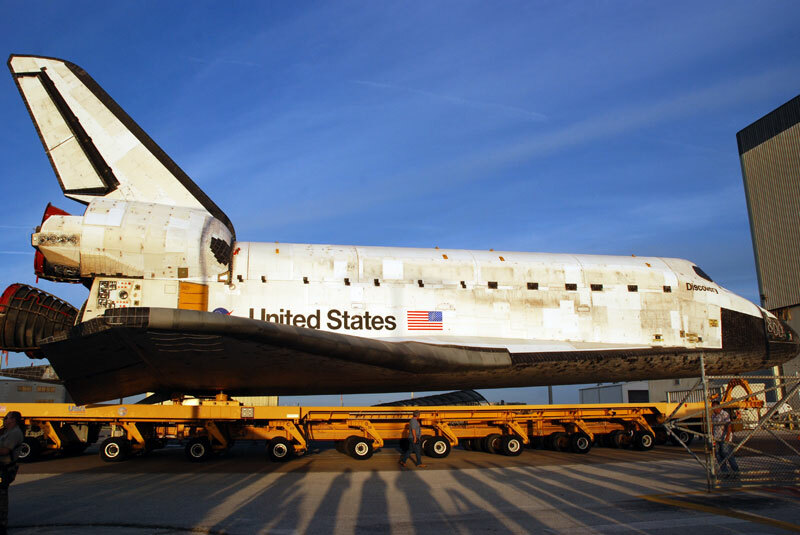 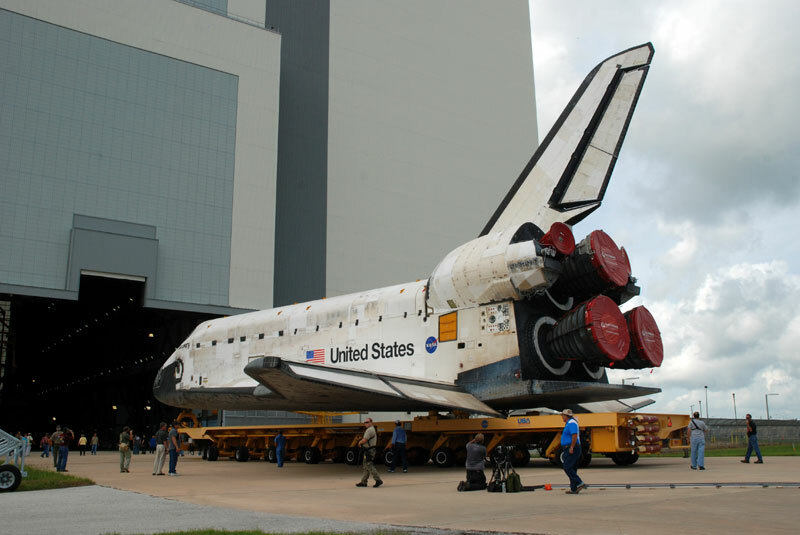 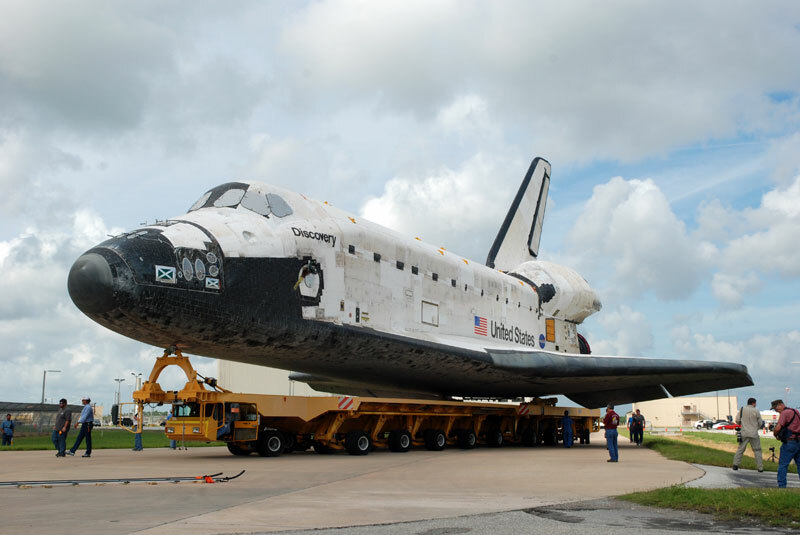 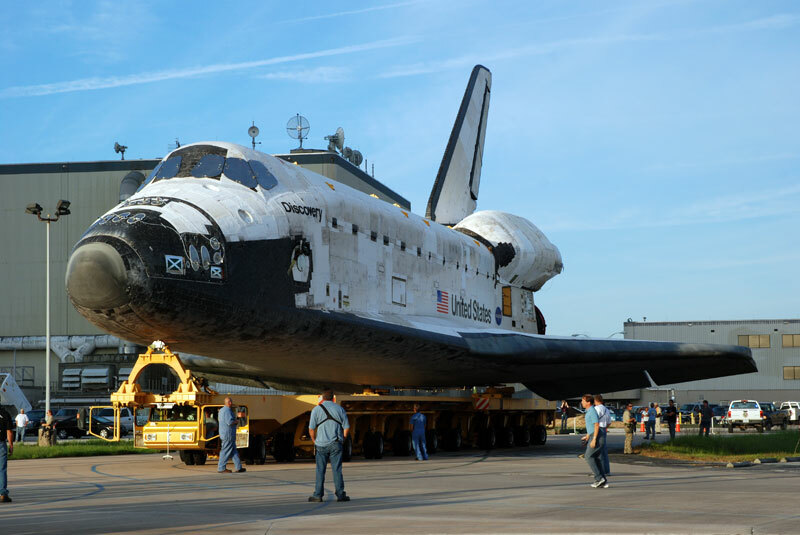 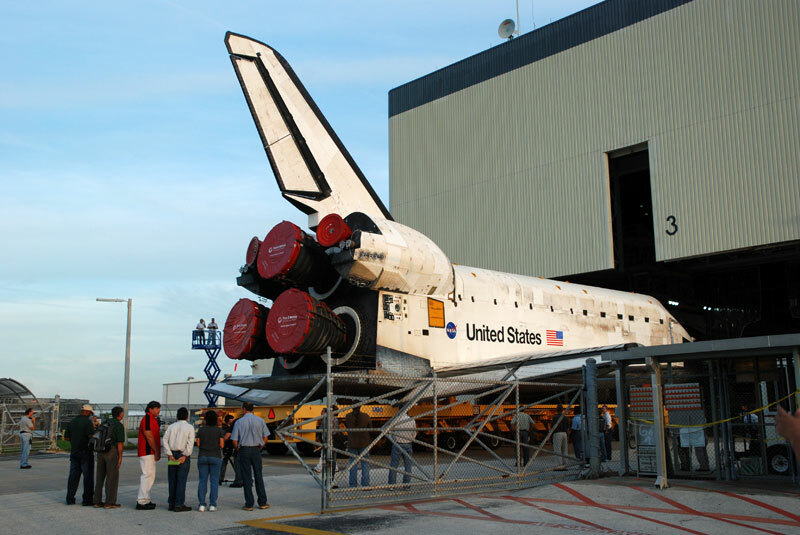 Scheduled to begin the evening of Sept. 20, the shuttle will roll out the 3.4 miles to Launch Pad 39A atop a mobile launch platform and crawler transporter. 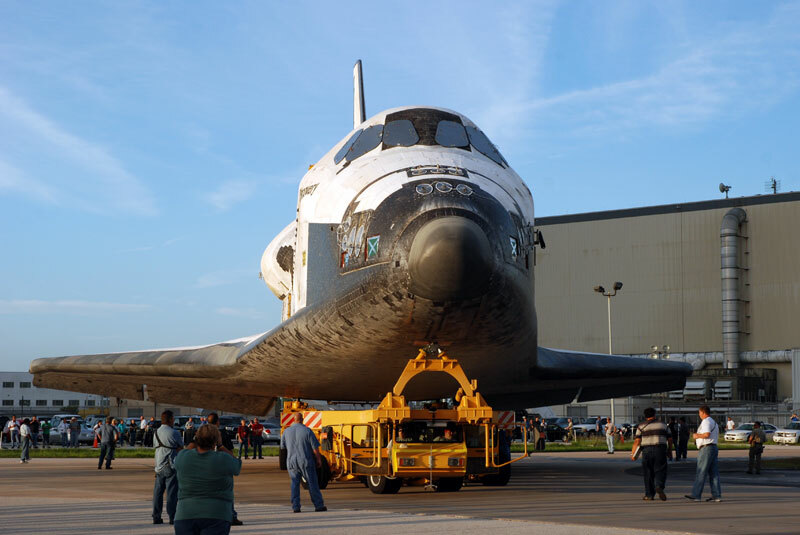 At the pad, Discovery will be readied for its STS-133 mission and loaded with its payload -- a logistics carrier-turned-permanent storage module for the ISS.